Good tooling can enhance some microcontrollers, but the real magic is in bringing others back from the dead. Here's why vendors need to constantly expand their horizons. For me, the available software and tools are the primary key decision factor when selecting a particular silicon vendor. Without good software and tools, a microcontroller is only ‘sand in a plastic case,’ even if it is the best microcontroller in the world. I do have several (probably) excellent microcontroller boards, and they are only getting touched by more dust over the months and years. I recycled some of these dusty boards, gave away others, and some, despite having been given away, find their way back to me (see the article about the FRDM-KL26Z). But sometimes things can change, and suddenly tools are available for the formerly dusty components. We have occasionally used NXP LPC parts in our university projects. I’m a big fan of open software and tools, and Eclipse with GNU tools are simply the best framework for me. And my students appreciate if they have the freedom of host operating systems (Mac, Linux, Windows) and that tools are free and can be extended with extra plugins. There has been the LPCXpresso IDE, but because it has not supported P&E and Segger probes (which we are mostly using here), the LPC parts have been used in niche areas. Yes, there is the Linkserver/RedLink/LPC-Link2 debug connection in LPCXpresso, and on many boards, there is a way to use the Segger debugging firmware, but they required extra steps, extra software installation, and they weren't not up to par with P&E and Segger solutions, which both support the educational market very well). And both P&E and Segger were always very generous about donating hardware and software. Yes, both P&E and Segger are commercial (and not open source) debug connections, but having a solid, ‘just working’ debug probe for a broad range of microcontroller is definitely a plus and a time-saver, as I want to teach embedded system programming — not getting the debug probe to work. 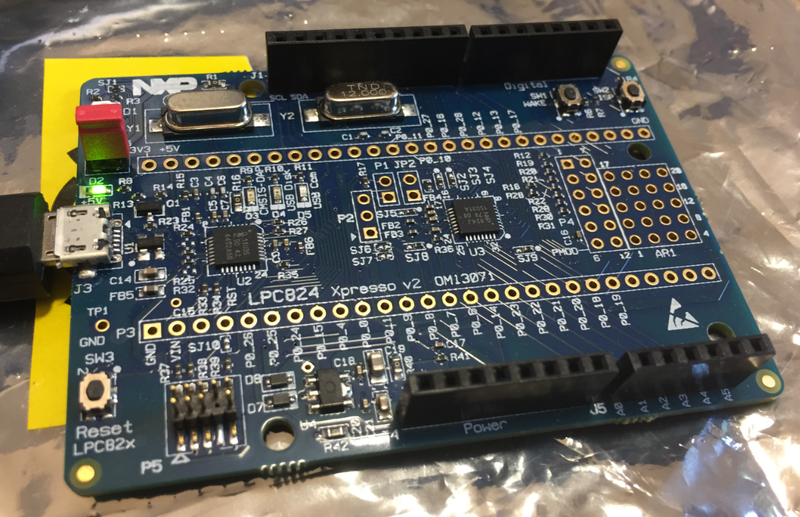 Now with the availability of the MCUXpresso IDE (see MCUXpresso IDE: Unified Eclipse IDE for NXPs ARM Cortex-M Microcontrollers), which covers both LPC and Kinetis devices, things have suddenly changed. Several students came to me this week telling me that they dug our their old LPC boards and can finally use the same tools as their Freedom boards that they love so much. Plus, with the LPC-Link2 with CMSIS-DAP, I have a good open source debug connection available in my arsenal. I hope silicon vendors realize how big this could be, and how important the right software and tools are. And obviously, I’m not alone with this: Check out this article written by David Karibe from the University of Nairobi. David touches on the importance of Processor Expert in his blog post: I’m still working on an article about how to get this into MCUXpresso IDE.